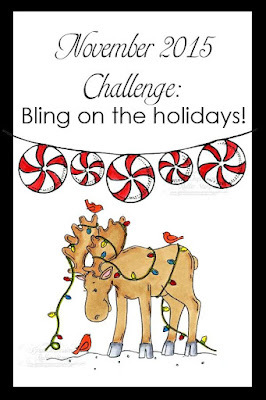 Cherish Each Precious Day: Bling on the Holidays!!! It's time for a new monthly challenge at the Great Impressions blog! My card is an easel card. This is the view with the card opened up. 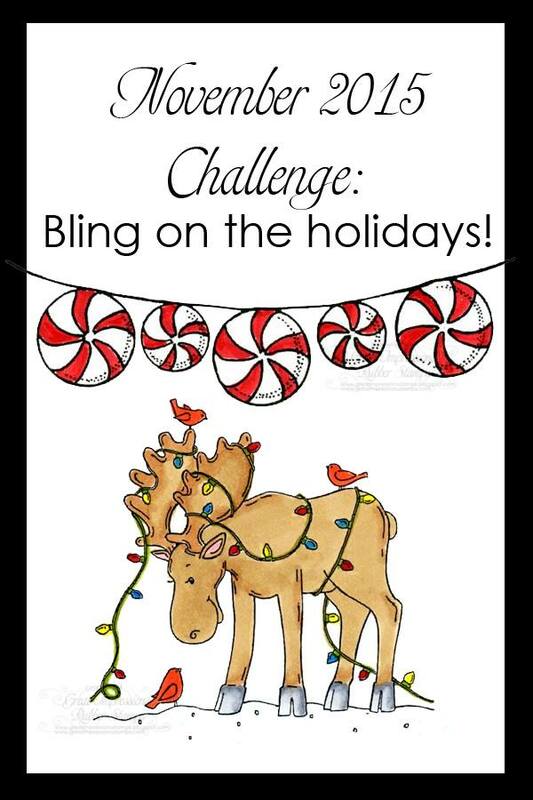 Who doesn't love bling? What fun!!! Please check out our current Great Impressions Challenge, and if you use some Great Impressions stamps make sure you link them up in our Customer Gallery! Well you know for sure I love bling and oh my this has BLING for sure. Great card. Love the sparkle of your card, Patti, and the way you carried it onto the inside. 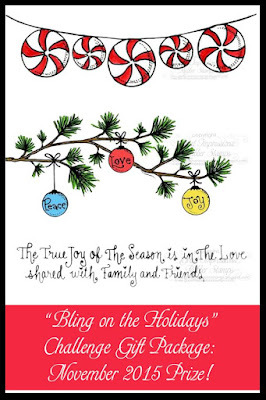 This card will add some sparkle and shine to the receiver's holiday, for sure! Oh how I love your bling. The image is so cute. 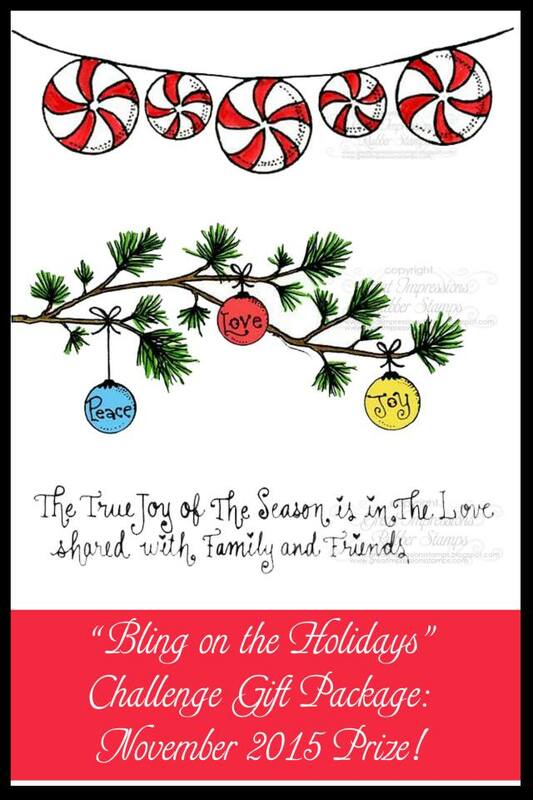 I love easel cards and think it's one of my favourites. You did a wonderful job with this card. Hope you're having a nice weekend. Your easel card is fabulous! I LOVE all the sparkle~the design is awesome! Oh how sweet, Patti!! 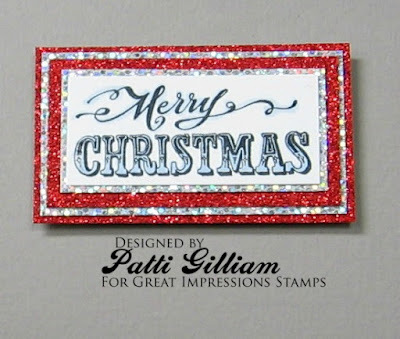 Love the sweet image and all the sparkle! Beautiful easel! !